I’ve been meaning to write this for a while but between being where there was no electricity and being so busy having so many wonderful experiences I haven’t had a moment to sit back and reflect on what I have seen. I want to describe what it was like to wake up in this wonderful place. I’m in my little tent perched above the White Nile in Murchison Falls in Northern Uganda. I can look out to an endless horizon and a flowing river below. I am being serenaded by so many sounds that it sounds more like an orchestra than individual voices. The noise makers are frogs, monkeys, birds, cicadas and finally hippos grunting below. Its a slice of heaven and certainly the best place I’ve ever stayed in my life. 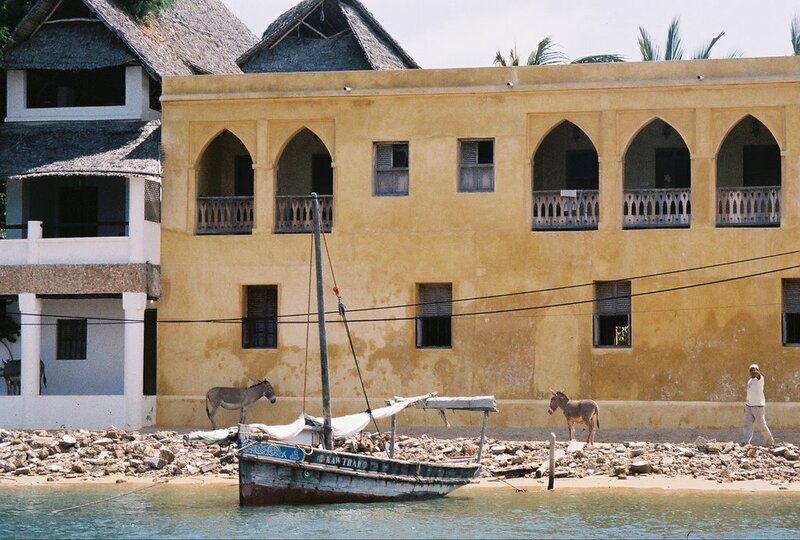 Africa is a feast for the eyes. Long horizons, beautiful people, endless wildlife. My brain dances with all that I have seen. ...Could it be possible that less than two weeks ago I was squeezed in the back seat with a young Samburu Moran (warrior) dressed in beads and colored cloths??? 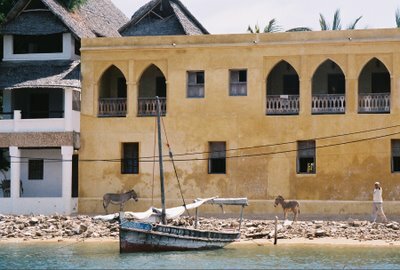 ... Was it really just a few days ago that I was in Lamu, a Muslim island of the coast of Northern Kenya, where everyone was dressed in head scarves and traditional Swahili dress including men in white cotton head to toe??? A place with no cars and only donkeys as transport. ...And yesterday, did I really walk among (within 20ft) of elephants on the edge of towering cliffs in Uganda??? They were so big; I was so small, but we there sharing the Savannah together. How can I possibly explain the hecticness on the the streets of Kampala, where everyone is selling something and white matatus (minibuses) weave through the street in every direction picking up passengers along the way. 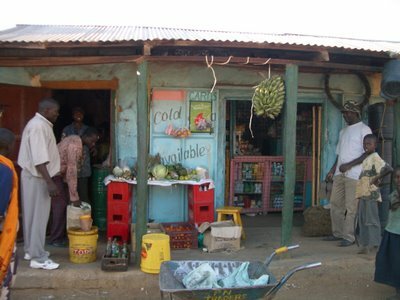 At night the stalls are lit by candlelight and sell sides of cow and goat as well as auto parts and TV’s all in a row. Sometimes the visual feast is totally overwhelming but overwhelming in the best sort of way. My brain is ready to burst with love and enthusiasm for everything I see. If only I could show you all the little children on the sides of the roads who jump up to wave hello and shout “Hello! How are you?” or just yell “mzunga” (white person) as if having us drive by is the highlight of their day. Certainly seeing them is one of the highlights of my trip. Who could not be totally moved by those smiles on those bright faces? I also can’t get enough of the friendliness. 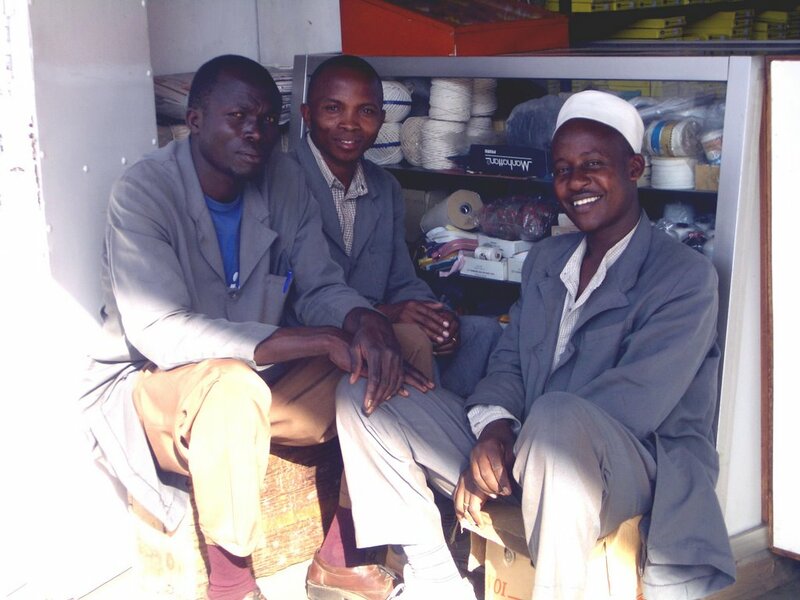 The people of Uganda have an inner calm and openness I have never seen before in my travels. And in Kenya, what a feeling it was to drive into Wamba, a small town in Northwest Kenya, home to the Samburu people. Each time we drove through everyone noticed the mzungu had arrived. Not many white people travel in these parts so many are still shocked to see us. Little babies cry at the sight of our white skin. Others run up to practice their English, which they are taught in school but don’t use much in daily life. Each night in Wamba we would take a stroll through the little market to see what beaded jewelry they had created for us that day. Then we took our nightly stroll to say hi and see the people. On most trips we would have a whole slew of kids following behind us. At the end, we ended up in what became our bar, ("the best bar" according to the people we befriended) where women we a rare sight and mzungu’s were even rarer, but the Kenyan hospitality welcomed us anyway. 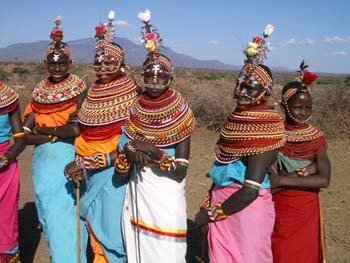 The Samburu are a tribe that is related to the more famous Masai. Today 70% of them still follow their full traditions. This means dressing with many beautiful beads and swathing themselves in bright colored wraps. Living a pastoral/nomadic lifestyle in small movable huts in the semi arid dessert. Raising and grazing cattle, goats, sheep and camels and mostly living on just milk and maize flour since the size of their herds is a sign of wealth. Girls are still married here at a very young ages, starting a 9. They are circumcised the day of the marriage to purify them for their new much older husbands, who in most cases they have never met. These men bought their hand for eight heads of cattle. The boys are raised into manhood as Morans or young warriors. They protect the tribe for a period or about 12 years beginning at around age 14. The are initiated into Moran-hood with circumcision. These are the ornate tribal members one sees in photos. The Samburu people revere and respect the Donkey since it is a valuable more of transport. As a Democrat, I was glad to see so many beautiful donkeys! Its hard to describe the vast open spaces here. You can see for many miles and even over country borders. In Uganda, I can see over to the Congo and Rwanda, where I hurt for the suffering people. How could all that inhumanity exist in a world that seems so peaceful and beautiful? A sobering reminder of all that was going on around us occurred when we were driving along through a national park, passing no other vehicles till a big truck appeared on the horizon. It was from UNHCR (United Nations High Commission for Refugees.) It had dropped its load at a refugee camp up the way for Sudanese refugees. The airport is also filled with UN planes and evidence of the Red Cross and other humanitarian organizations is all around. Yes, Uganda is tucked in between many countries in conflict and even has its own long term fighting in the North. It seems to be a very far reality from what I am seeing but I am sure even in this stable and growing country conflict can easily be spurred when there are so many people just barely meeting their basic needs on subsistence farms. Most of the growth and progress never shows or trickles down. I wish I could properly describe the magnificence of the Murchison Falls which lie on the Victoria Nile. An enormous amount of water sweeps over a gigantic fall to crash 120 feet below. The rumbling sound shook my inner core. A this mist rose above us and covered us as rainbows formed in every direction. If I could I would visit this place everyday to help sort my thoughts. It’s raw energy calmed me and seemed to identify what really matters. ...And if you could only see the hippos hovering in the water with only their eyes and ears peaking out from below the surface. The perfect lazy life. ... Or how about climbing straight up a mountain for hours into a swath of rain forest to catch a glimpse of a family of mountain gorillas. They are the largest ape. The silverback male (the leader) was over 450 lbs! Instead of being scary, he sat peacefully in the sun eating anything his hands could reach. There are only 650 mountain gorillas left in the world and they only exist in this mountainous region. As for my time with Earthwatch, studying the endangered Grevy Zebra’s, it was great to be a junior scientist and help with research. As the world develops at this fast pace, species are going extinct everyday. It seems sad to know that in my lifetime there may be no more Grevys, with their narrow pinstripes that make them even more regal than the common zebras we all know. Now I return to the States with a renewed sense of purpose to fight for regime change. Kerry should be pleased that everyone here is rooting for him. My first day in Nairobi, I was in a cab stopped at a traffic light when the cab driver next to me said “American?” When I said yes, he said “Bush or Kerry?” When I said Kerry he began cheering and beeping his horn. It seems that everyone here knows more about the election in the states than regular Americans do. More importantly the aid workers I have met are very concerned with the direction of US foreign policy and its effect on the long term health of the world. It amazes me how different it feels to be an American outside of our borders. I wish I could really describe it to the average American voter so that we could make a significant change to our role in the world. The world needs an America that respects and supports it and America needs friends around the World. The policies that the Bush administration is pursuing are isolating us which will is only creating more enemies. Leaving Africa will be very hard for me. So far I have cried when leaving each place I have been. This trip has been an experience of a lifetime. The beauty, the people and the vastness of the land will always be with me. I hope all of you will be able to visit Africa in your lifetime and get to be shook to the core as I have been. See you soon in the States!